Getting ready for the SOE Live 2012 Welcome Reception. [Cyliena] i stole Feldon’s keyboard, hi!! 7:26pm Brasse is on stage. Showing our rebellious Fan Faire Forever T-shirts. Promo video with devs and SOE team members talking about what they are looking forward to doing at Fan Faire. Now youtube-submitted player videos. First year we are doing Player Panels. Each one will have a Community Representative in case of issues. Introducing SOE President John Smedley. 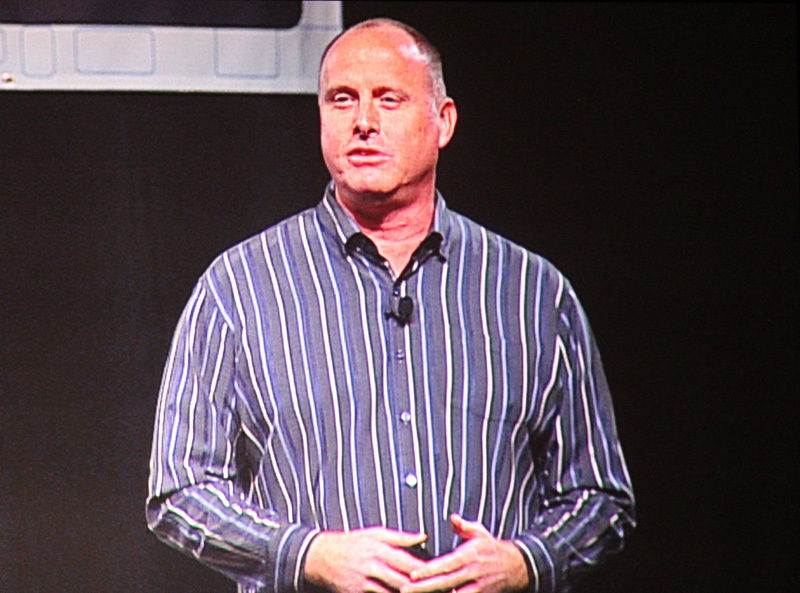 Tonight’s keynote about newer things, PlanetSide 2 and its launch date. Talking about Free to Play. Your Way. Our recent announcement that SOE players can stay with us, or go to our partner ProSieben. 12.4 million minutes of Planetside 2 were livecast on TwitchTV. Livecasting is something that is coming to all of our games. On November 1st we release a TwitchTV client in Planetside 2. This functionality will come to our other games. We do not believe the current method of making these games is sustainable. Look at the games in the last 3 years. SWTOR. The Secret World. Rift. Every one declines after release. Now look at League of Legends. It continues to increase. We need to add emergent gameplay to our content pipeline. Does this mean we stop making EQ and EQ2 content? No. You can expect those things to continue. But some games will see more emergent gameplay. Tomorrow the PS submission page goes live. screenshots of some items that have already been submitted. Introducing Krono. Fully tradeable, fully resaleable in-game item. Add 30 days of premium membership time to an account.character. Bought or sold freely between players for in-game currency. (Plex) First to EQ2. Later to other games. October 29th. Everyone who came to SOE Live gets 1 Krono. John Tang, CEO of Runewaker Entertainment coming to the stage. What are we showing tonight? “I have to be honest with you. We have completely blown up the design of EverQuest Next. For the last year and a half we have been working on something we are not ready to show. Why did we blow up the design? The design was evolutionary. It was EverQuest III. It was something that was slightly better that what had come before it. IT was slightly better. 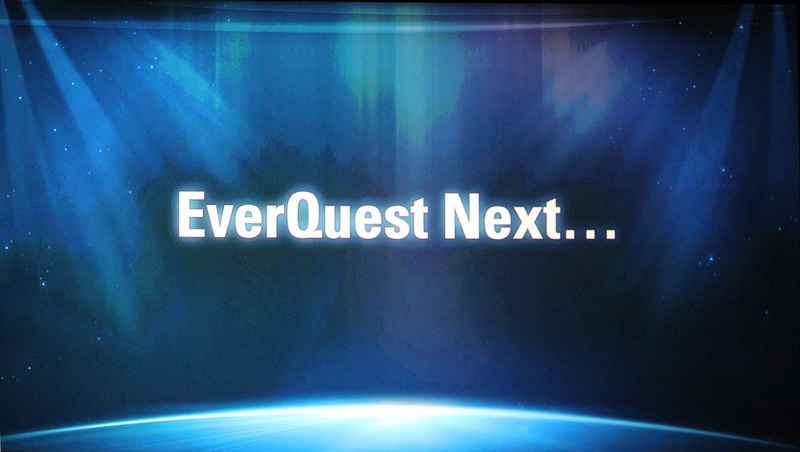 What we are building is something that we will be very proud to call EverQuest. It will be the largest sandbox style MMO ever designed. The same exciting content delivered in a new way. Something you’ve never seen before. The MMO world has never seen before. We didn’t want more Kill 10 Rats quests. We didn’t want more of the same. If you look at the MMOs out there, they’re delivering the same content over and over again. So are we. We need to change that. When we released EverQuest, we changed the world. We want to do that again with a different type of game. Planetside 2 slides and info. Planetside lead designers to the stage. Videos, talking. Smedley coming back to the stage. To the audience: Do you care when we release this game? 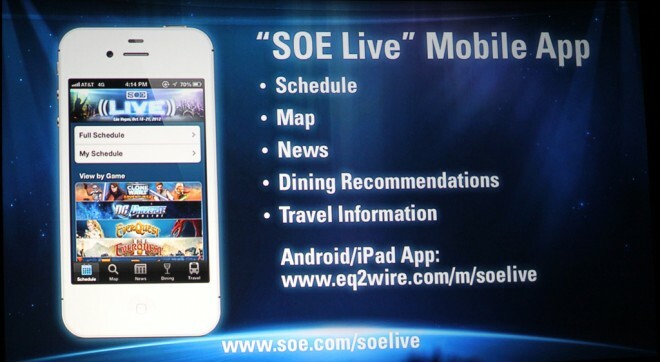 This was livecast by EQ2Wire from SOE Live 2012 in Las Vegas, NV. In office now @Taipei relying on your updates! 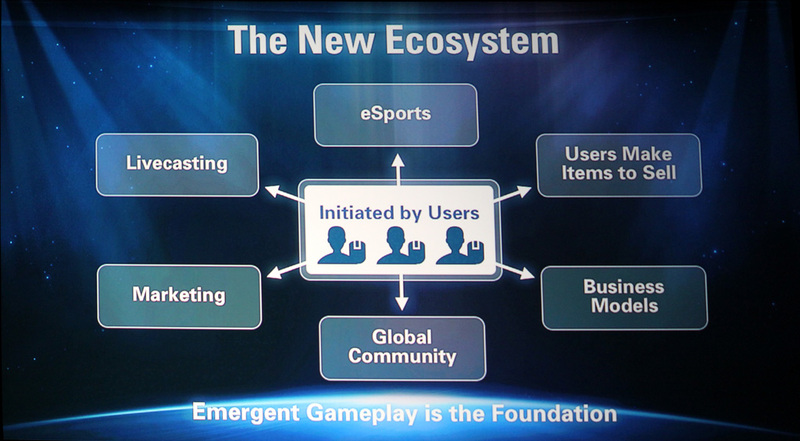 Think they need to define what “emergent gameplay” is as it’s a very abstract concept. 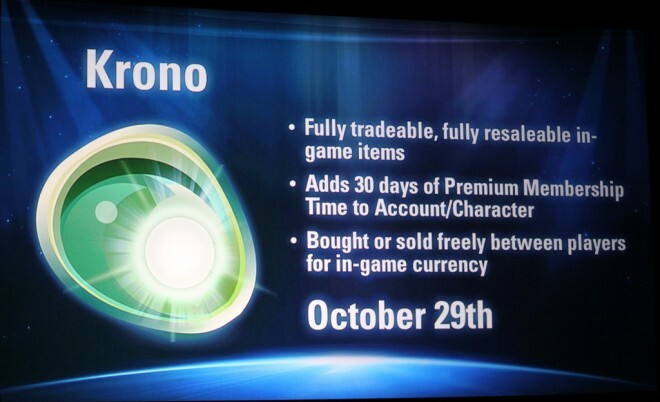 BTW the Krono system reminds me of the Zen system in Champions Online and Star Trek Online. Safe, secure transfer of in-game currency for virtual currency using the in-game exchange system. So Krono is like PLEX from Eve online. I’m fine with waiting for EQ Next. At least Smedley is being honest, at least he’s giving us an update on what’s going on. Would you guys rather just see the same old same old? Same run of the mill grind, kill ten rats, ding, level 50 over and over? NO EQNext info was a horrible move, squandering what little hype was left in 2 years of no info. Trueflight did you read the same quote I read? lol. Blowing up the design does not mean blowing up the material they created since moving to Forgelight. There was an interview with Dave that stated there was another years worth of storyboard content left which lines up. I am holding Smed to “largest sandbox style MMO ever designed” though and I figured EQN would be a social sandbox game. I can’t wait! 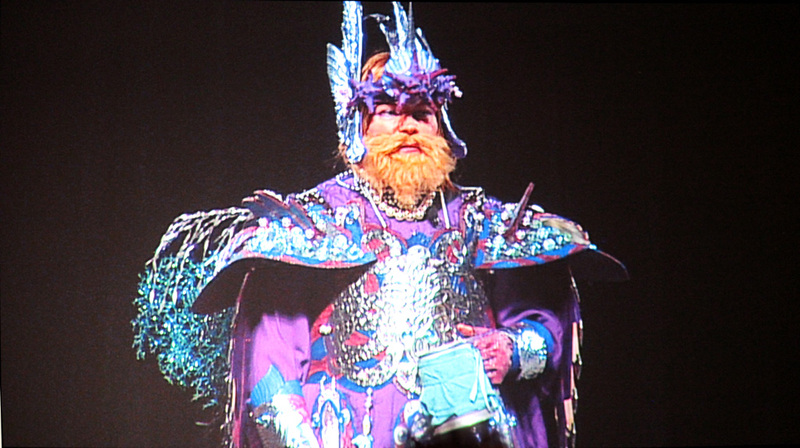 Did Smed say “at the next Fan Faire” or was that you? I do think blowing up the idea of EQNext and going with something different is needed, the 2010 ideas seemed to be just another version of WoW. The big question though is this idea really new and is it really good, will wait until they release/give us information to judge here. Trueflight I don’t think you understand the pre-production process of development for a video game. The concepts and “screenshots” were scrapped. Yeah, that happens during the pre-production phase of video games. Usually some games will go through several builds before being scrapped. Feldon, you quoted “Our recent announcement that SOE players can stay with us, or go to our partner ProSieben”. Can you please see if you can get high-level clarification of Piestro’s statement on the EQ board that this option to stay with SOE applies only to EQ, EQ2 and PS2, and that players of VG, EQNext etc will have to switch to ProSieben in due course? This point is of crucial importance to European players, and is being ignored on the VG board. If this change is a genuine across-the-board recognition that the ProSieben deal is unsustainable in its original form and has to be made fully optional then that is one thing, but if it is purely a short-term gimmick to improve the pre-sales of the EQ/EQ2 expansions and the PS2 sales then it is something altogether different. We need to know which it is. I’d like to see what they mean by emergent gameplay. The Wikipedia game physics examples of emergent gameplay seem like ones the devs would ban (“play our way, not yours”). 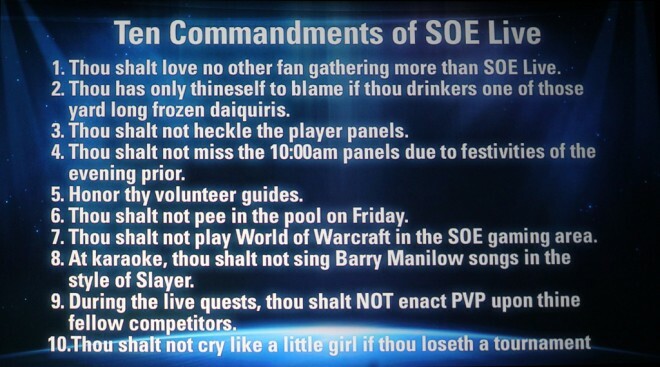 Eq2 release date might be soft. Doesn’t really surprise me if it turns out to be true. Nov 13 is a tough date to hit. But with PS2 a week later and EQ the week after. Hmm. Because of the keynote tonight (Friday), EQ2 news will be split over two days instead of all the new stuff today. Emergent gameplay in this case means player-centric gameplay. Player made content. Players are able to livecast themselves playing the game on Twitch. Devs and players are both invested in playing, supporting, and creating content. Not sure what is going on with Vanguard. EQNext will be a NEW game. It’s also like 2 years out. Anyone in Europe wanting to play it would no doubt need to create a ProSieben account. 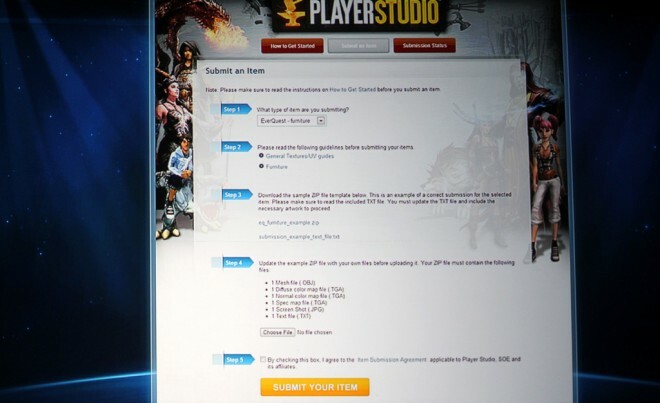 The exemption that was announced on Tuesday applies to existing players of EQ2, etc. It’s not. It’s not an indictment of anything. 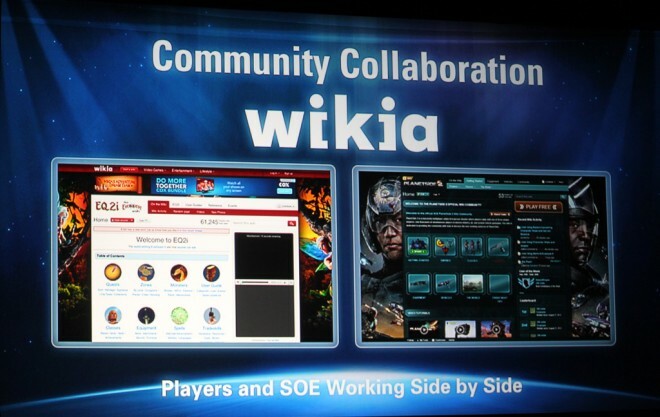 It’s a recognition that EQ and EQ2 players are familiar with SOE and want to stick with them. but if it is purely a short-term gimmick to improve the pre-sales of the EQ/EQ2 expansions and the PS2 sales then it is something altogether different. We need to know which it is. 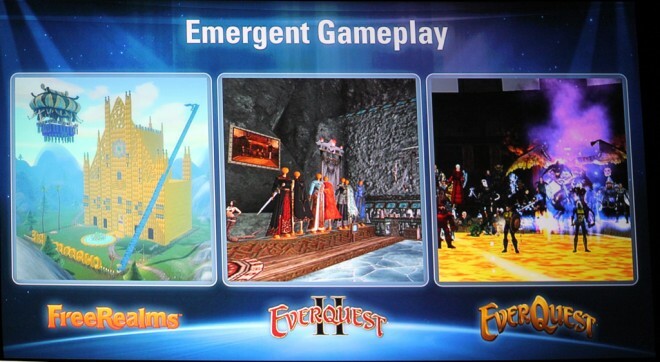 EQ2 does SOE really need 3 Everquest games goin. I haven’t made my mind up what it is, because one minute Smed and Piestro say it is just for the three games with current pre-sales, then you quote the Keynote comment about “our recent announcement that SOE players can stay with us, or go to our partner ProSieben” which appears to throw it wide open. That’s why I’m keen for someone who is at the Fan Faire (or who can tweet Smed) to ask him what the exact position is. It’s not an unreasonable request for clarification from someone who’s been a SOE customer for 13 years and wants nothing to do with ProSieben but wants to continue playing all SOE games through SOE rather than just some of them, not least given the debacle of the last 10 months prevarication over transition terms and timings. “staying” would mean they would already be there. For games that aren’t out yet, nobody is “with” SOE, so they wouldn’t be staying with them. They announced that for the existing games, not for everything that may or may not come out in the future. It would be equivalent to Apple saying that all of their iPad customers will be assured they are staying with Siri. That doesn’t mean that a new product would. There is a real issue with player made content. While players can make really good content, they also make a tremendous amount of really bad content. So finding someway that you only see the 1% of player made content that is good is going to be a real challenge for a studio. Well, at least now we know the hard date on the closing off for registrating an account with SoE to play EQ2: 20th November. @Atan yes I agree. However, graphics and modeling programs are typically very complex. It’s my understanding it’s bring-your-own-program and they aren’t providing an in-house design progam. 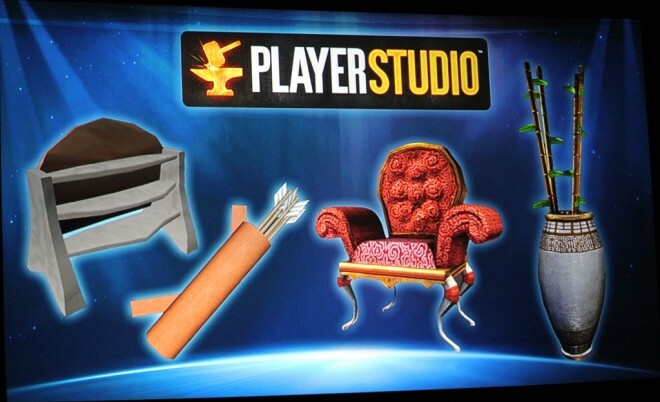 So these won’t be commoners playing with a stripped-down in-game system (like dungeon maker). It’ll be people who can overcome the high hurdles of high-powered design programs. Those people should be a cut above. Of course, without having something easy to use the number of submissions could stay very small and still fail to produce a meaningful amount of content. Not sure about what they will do with EQ3. Hopefully if they are right and we’ll be able to see it next time it will be near beta by then as even if they changed their ideas on direction they will still have all the work they had done so far on it. Either way im wondering which way they will take it. Hopefully not in the Guild Wars 2 direction. while GW2 is fun to run around in the game has no challenge whatsoever except for it’s tiny handfull of dungeons. And while there is some real nice things in that game it’s not the kind of game that can keep me interested as i love questing and running zones and there just isnt enough there. I figured EQ3 was a year out anyway so im not super dissapointed though i wish they had had something to show. But they are right about the newer games having trouble getting off the ground. TOR really crashed and burned and the others arnt doing to well either. I have to comment on this as it was a topic on last weeks show. You have to take into consideration that you are comparing a game that has been out for a couple months to a game that has been out seven years. Compare GW2 to just the base EQ2 game as it was when it was released and there is just as much, if not more content. I do agree that it feels lacking comparing the two games as they stand today, but then again it should. After paying for seven years worth of expansions and add on content for EQ2, it should be a bigger, better game. That said, I would like to see this new project of theirs be a nice blend of EQ2 and GW2. Bring us the good parts of both games and look for ways to fix the parts taht aren’t so good. what does sandbox play mean? I hope their new engine will make combat better. Everquest’s combat is horribly ancient and uninteresting compared (first to WOW, and even more so to GW2). I absolutely loved EQ1 and even found myself playing it again just before GW2 was released. I tried EQ2 for a little bit, but just found it to be the same game with less nostalgia appeal than EQ1. If they implemented a more action-based combat system into Norrath I would be very happy and most certainly play it.